Another milestone checked for the captain of Olympiacos. Vassilis Spanoulis scored 13 points as Olympiacos defeated Panionios 73 – 79 on the road and, in the process, became the top scorer ever in the Greek League. When the captain of the Reds drained 2/2 from the line in the third period, he made his overall points 5201 and thus surpassed the previous Greek League scoring leader, former AEK and Olympiacos player Nikos Chatzis who retired with 5200. 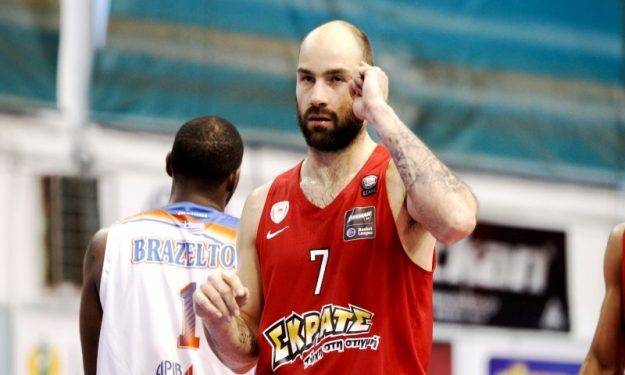 Spanoulis finished the game with also eight assists and five rebounds. Jamel McLean posted a double/double of 13 points/10 rebounds while Ioannis Papapetrou led Olympiacos in scoring for a second consecutive match after dropping a team-high 16 points, along with nine boards as his team improved to 19 – 4. Dejan Kravic’s strong double/double of 23 points/13 rebounds and Markeith Cummings’ 22 points plus eight rebounds weren’t enough for Panionios that dropped to 7 – 16.